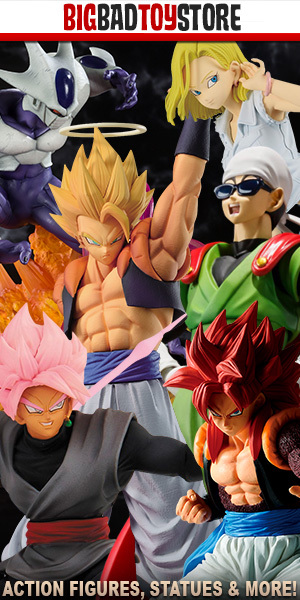 Many of you who have enjoyed and followed our “Featured Collectors” column here at the site are probably familiar with Richie Shia, or perhaps you’re involved in the Dragon Ball figure collecting community enough to have at least heard his name. Whichever way it is, Richie is a presence in the community who has been quickly making a name for himself via his YouTube channel, Facebook group and here at DBZ Figures.com. Hello all Dragon Ball Fans!�My name is Richie Shia. I’m a collector from the United States, but am currently serving a tour in Japan. Since our last meeting…I’ve searched non stop for all of my personal holy grails. Anything from small scale gashapons to large scale resins & exclusives. Facebook group: DBZ COLLECTORS UNITEDhas continued to grow with 14K+ Collectors from around the world. Instagram: DBZ_COLLECTORS_UNITEDmade its debut as well with a current following of 47,200 members. Furthermore, our community has collaborated with another organization to release our very first DBZCU Resin Statue Exclusive of Kaioken Goku vs Galick Gun Vegeta in one of the stories most memorable scenes. Finally, we have also released our very own DBZ COLLECTORS UNITED challenge coin. For the time being, there are only 100 PCS in the world. The DBZCU community has been amazing and I am very grateful for all of the great things that have occurred for us all. – I will be turning 30 this year. – I collect nearly every single line within the hobby. 3. What is your most treasured figure? 4. What is the most you have spent on a figure? – The most i have spent would be $1400 USD on the Double Chance Ichiban Kuji Angel Wing Goku. Prior to that purchase, i had seen 2 others before, that were being auctioned. The both of them reached up to nearly $2000.00, which was a bit much for me. Patiently waiting for the next available one, I some how lucked out and saw one posted as i was refreshing the yahoo auctions page. It had a BUY IT NOW price for $1400.00. Without hesitation, i purchased it. – I am actually packing away my collection as i type this. Our time here in Okinawa, Japan is nearing its end and we will find out where we move to by the end of the year. The goal is to get stationed out on mainland Japan, but if that is not an option…perhaps we will attempt to extend our time here at our current location. Regardless, this will not hinder my passion for the hobby and I will continue to collect 24/7. CANT STOP WONT STOP!!! After 2 1/2 years of collecting, i can genuinely state that i have accumulated 95% of my hunting list. You may view most of my additions within the video and photo gallery down below. ..and finally here’s an updated photo gallery/slide show of the current state of Richie’s vast collection. It’s by far the largest and most prestigious I’ve ever seen and something truly worth a look. Check Out These Rare Prototype Dragon Ball Electronics! That is every DBZ collector’s dream. An awesome collection! Thanks for sharing! Congratulations for this AMAZING collection! !